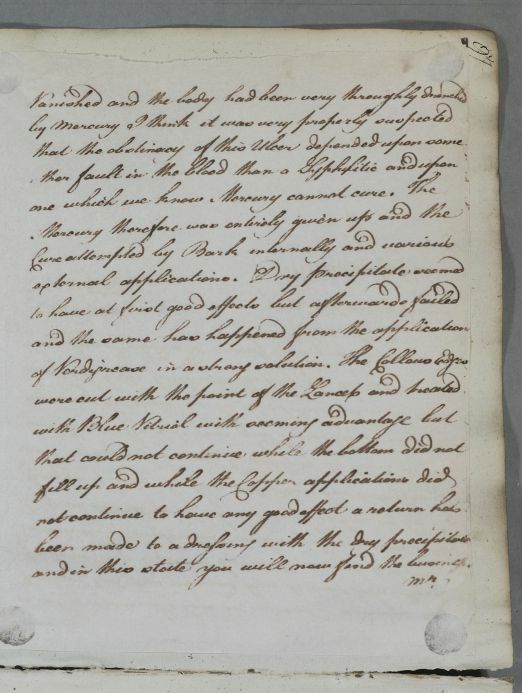 Reply to Dr Alexander Taylor at Paisley ("Sanders") concerning the case of Mr Maxwell of Williamwood. 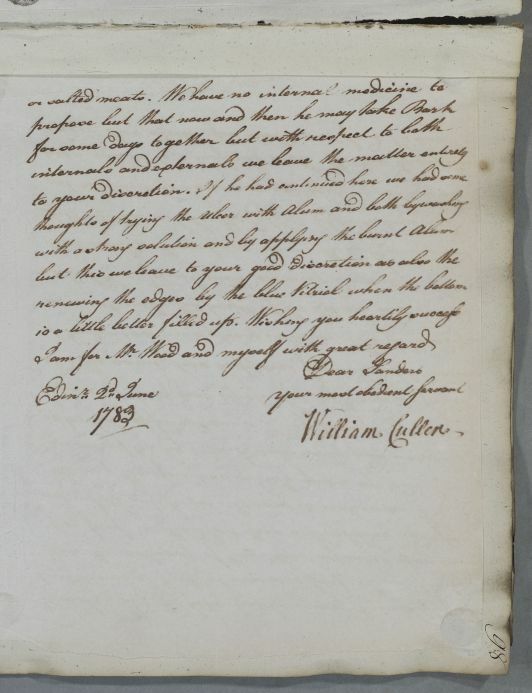 Maxwell, who is delivering this letter in person, has been consulting Cullen in Edinburgh over a a venereal condition, including a sore on his groin, but has been advised to return home to the country to regain his health. Cullen has been treating Maxwell in consultation with his colleague, the surgeon Alexander Wood. Summary Reply to Dr Alexander Taylor at Paisley ("Sanders") concerning the case of Mr Maxwell of Williamwood. 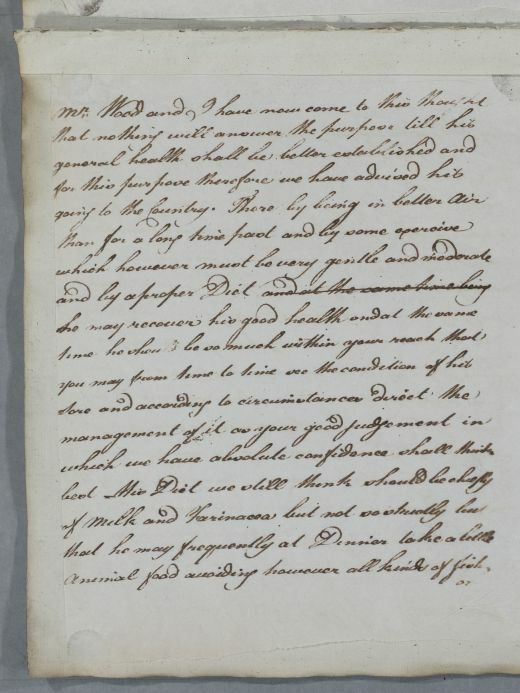 Maxwell, who is delivering this letter in person, has been consulting Cullen in Edinburgh over a a venereal condition, including a sore on his groin, but has been advised to return home to the country to regain his health. Cullen has been treating Maxwell in consultation with his colleague, the surgeon Alexander Wood. 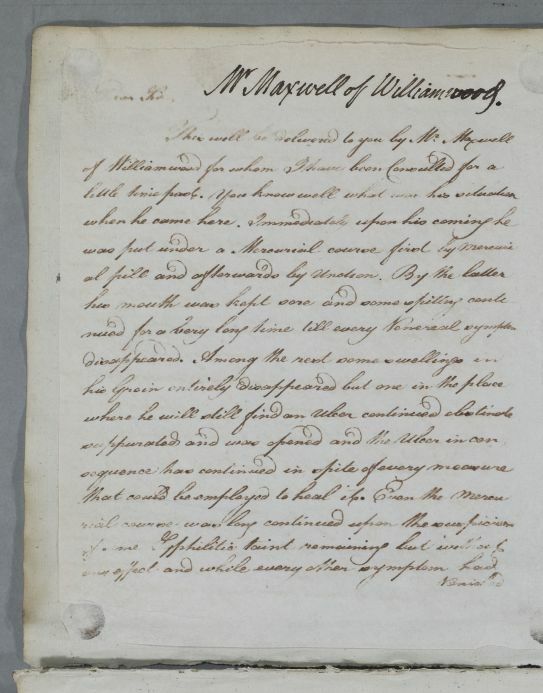 Case of Mr Maxwell of Williamwood who has been treated by Cullen for a venereal condition with a course of mercury.